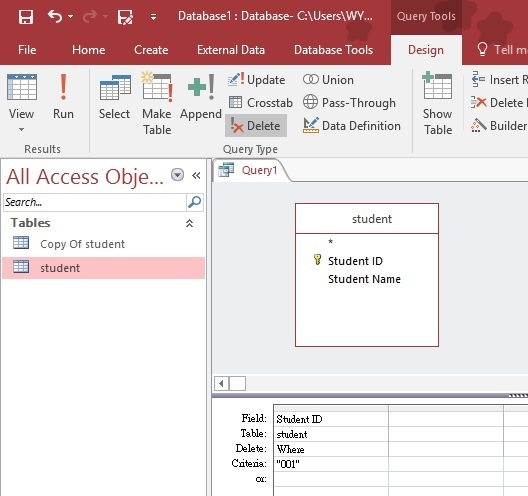 This Access VBA tutorial explains how to use VBA delete Table records with SQL without alert using DoCMD.RunSQL Method. In my previous post, I have explained how to delete Table records without using VBA, below is a quick recap. 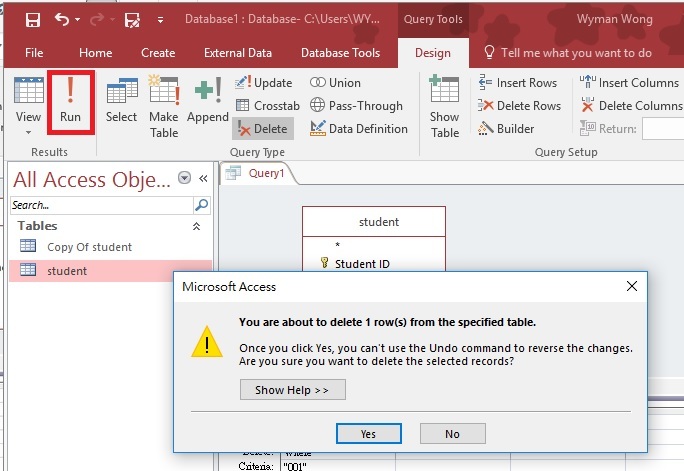 Similar to executing Delete Query in Access UI, you can delete Access Table records in VBA. First write a standard Delete SQL statement, then use DoCMD.RunSQL Method to execute the SQL. For example, we have a student Table as below. Press ALT+F11 and insert the below code in Module. 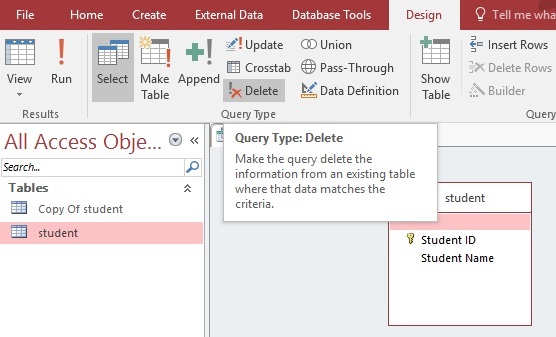 strSQL = "Delete * From [student] WHERE [Student ID]='002'"
Writing DoCmd.SetWarings False is because we want to avoid Access generating the below Alert so that the subsequent statements can be executed smoothly. Run the Sub, then you will see the below result where Student ID 002 is deleted.